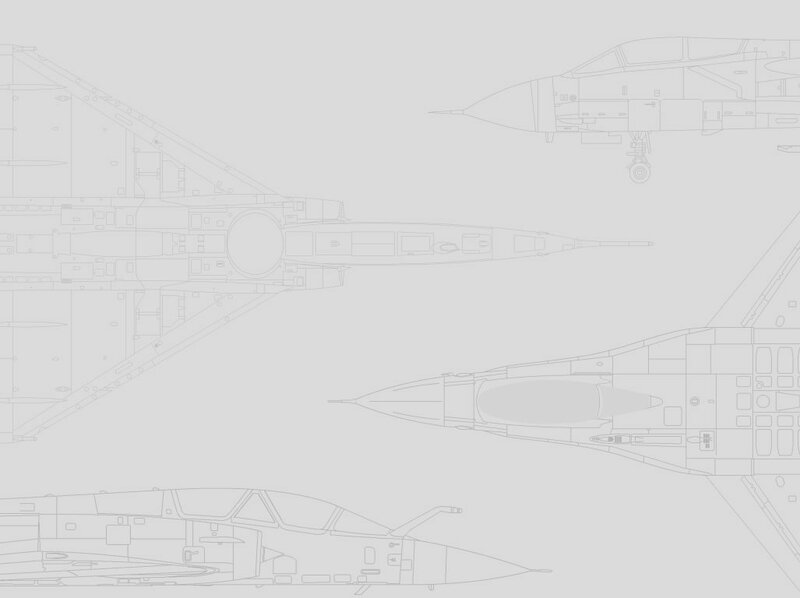 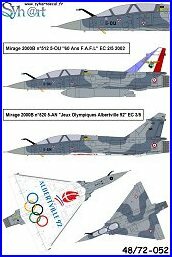 - Syhart 025 Dassault Mirage F-1C 12-YA #50 "Tigermeet'94"
- Syhart 028 Dassault Mirage F-1C 12-YH #16 "Tigermeet'91"
- Syhart 039 Dassault Super-Etendard #49 & 62 "Tigermeet 2007"
- Syhart 051 Boeing KC-135R USAF #61-0313 "RIAT Tiger 2005"
This decals sheet include all the standard stencils necessary for F-16A & B (also suitable for C, D and others Versions...) and the marks for 4x AIM-9L Sidewinder and 4x AIM-120B AMRAAM. 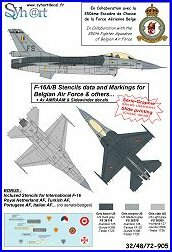 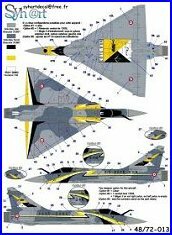 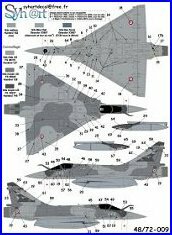 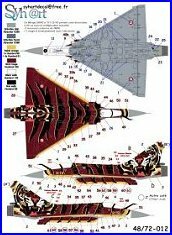 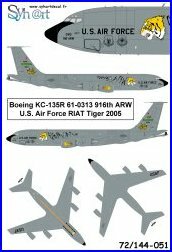 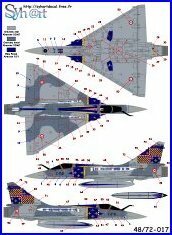 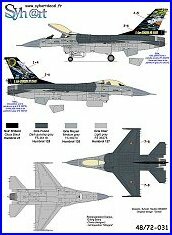 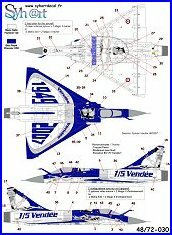 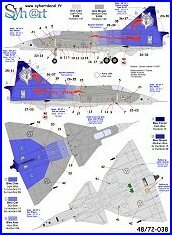 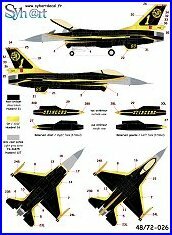 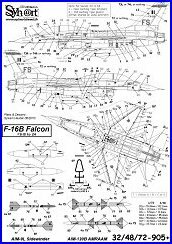 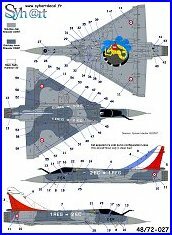 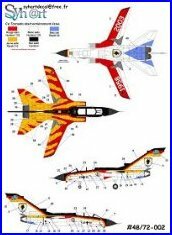 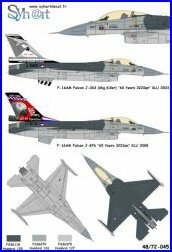 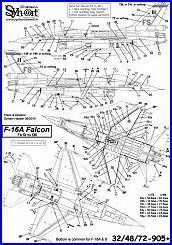 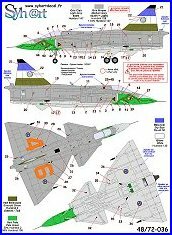 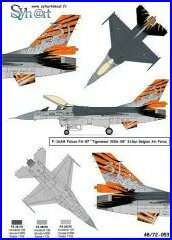 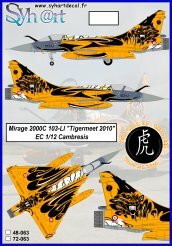 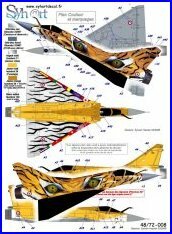 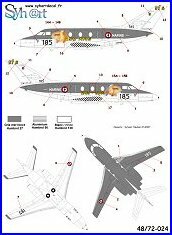 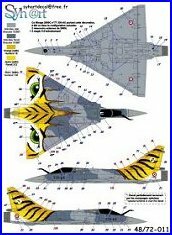 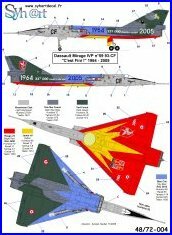 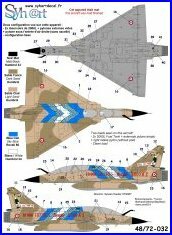 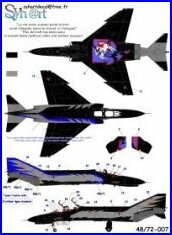 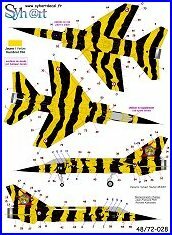 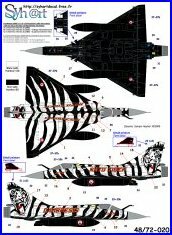 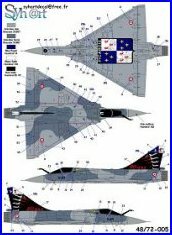 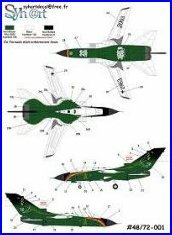 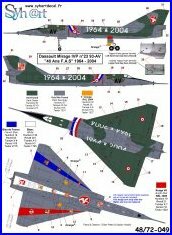 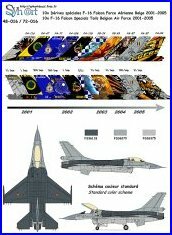 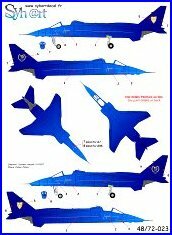 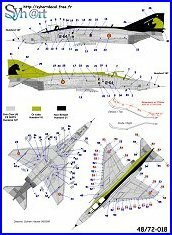 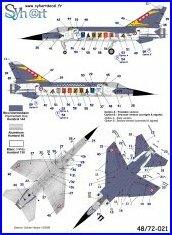 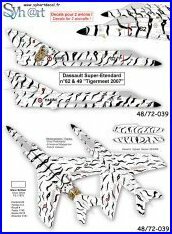 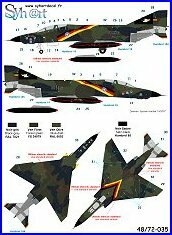 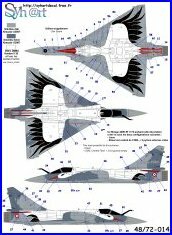 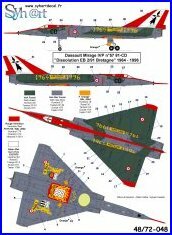 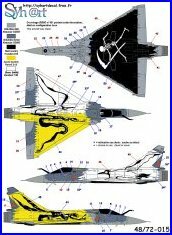 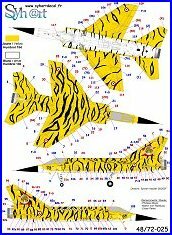 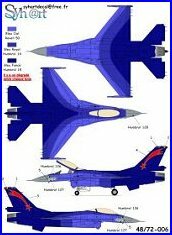 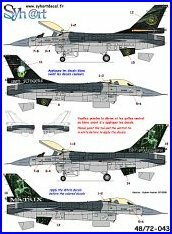 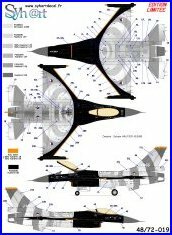 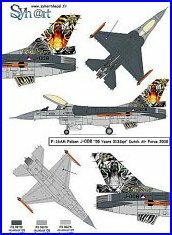 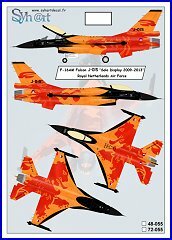 This sheet include also the markings to release an F-16 from 2nd Wing of Belgian Air Force based on Florennes AB. 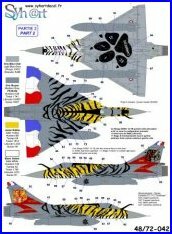 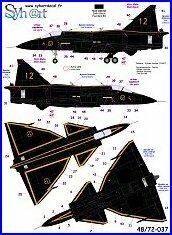 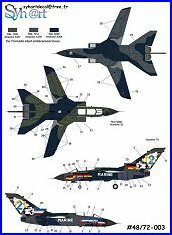 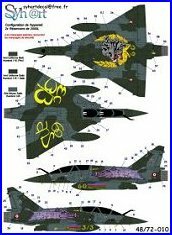 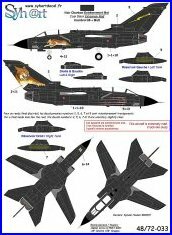 BONUS : stencils for most of user countries + nationals markings for Netherland, Italian, Portugese and Turkish AF (no serial and badges) (Only Belgian and Netherland on 1/32). 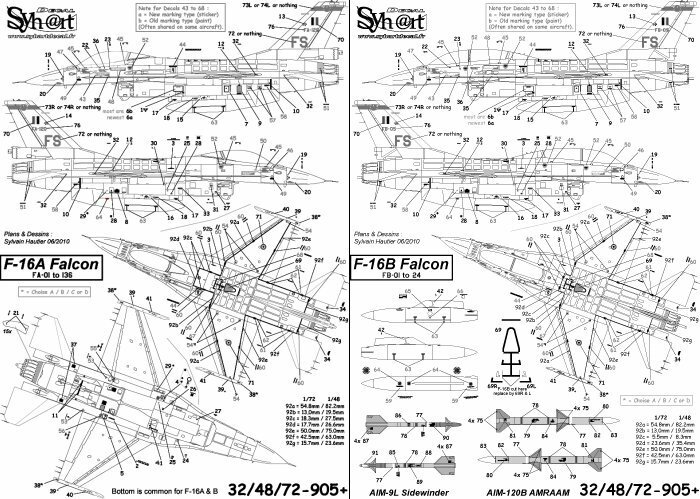 - 1 A5 colored page of instructions (front / back).